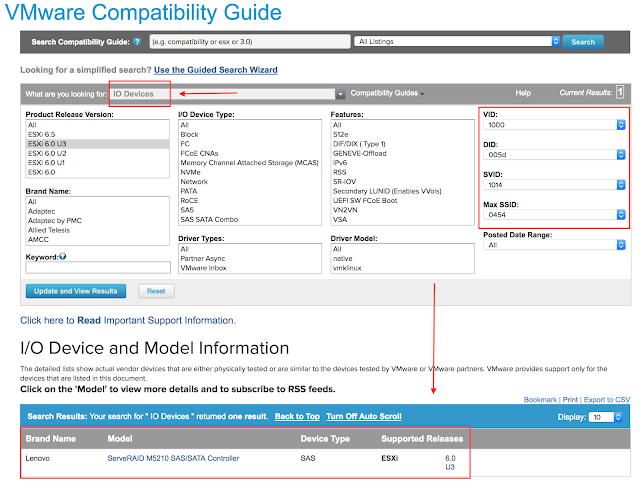 A few weeks ago I talked about Identifying your controllers and installing the correct firmware and drivers for a vSAN environment. 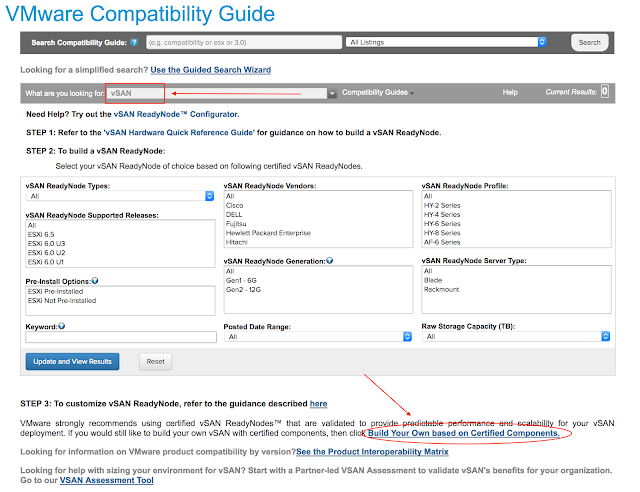 Even though you follow my recommendations vSAN Health Check still showing a warning for the vSAN cache tier controllers. 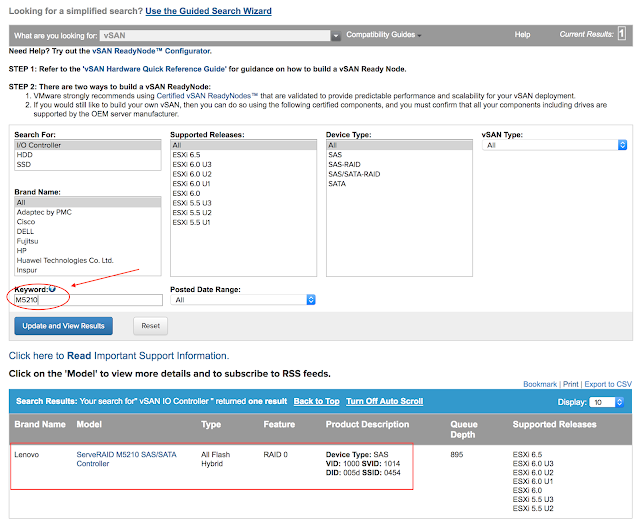 Don’t be afraid, there’s a bug that prevents Health Check to correctly identify PCIE/NVMe controllers and so the alarm is triggered, even with the certified driver and firmware installed. It took me some time to find this information, so I thought I could save some of your time too. Here's the KB2146676 that outline this bug. Among all the amazing new features and enhancements of vSphere 6.5 there’s always one of two that flies under the radar, until you need it. That’s the case of this small but crucial enhancement on the logging functionality, now it comes with detailed information about who did what when, becoming more audit-quality and security focus than the previous troubleshooting oriented one. 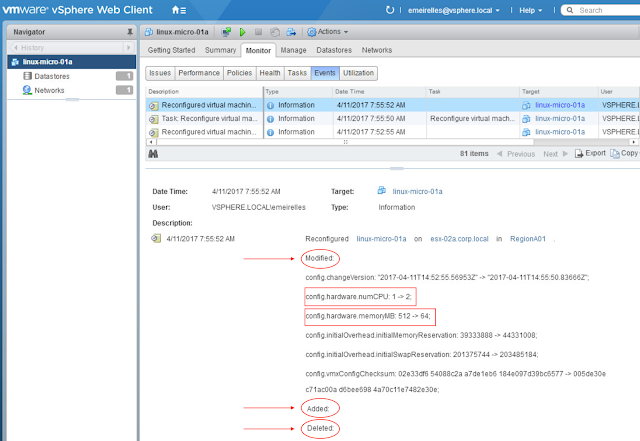 Let’s take an example: I increasing the vCPU and memory allocation on a VM. On vSphere 6, the only thing you gonna see is a reconfigure event without much information about what has been changed. 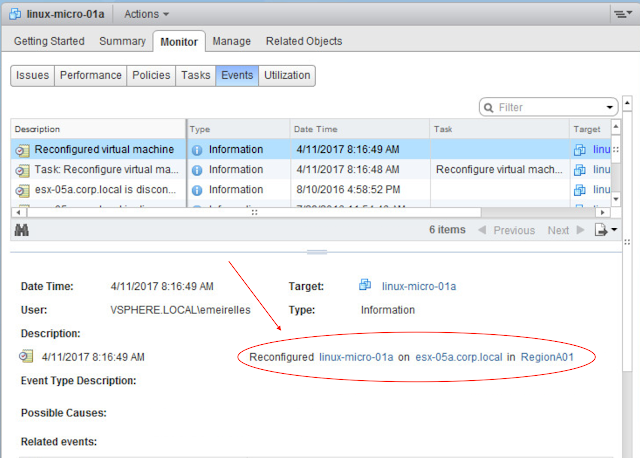 You could guess that ESXi logs might have more details, guess again !!! 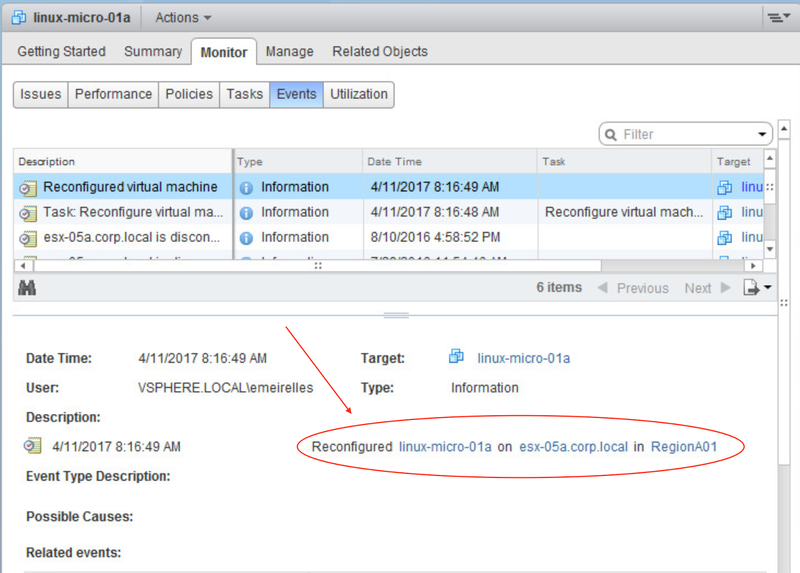 Now on vSphere 6.5 it has been improved considerably, adding sections for modified, added and removed components. Guess what about ESXi’s logs…. You can find the same information there. It will make great to diagnostic an issue and revert to the previous state, if you believe that what was caused the issue.